On the first day of Power Read last fall, 5-year-old Honor was in tears, grabbing books out of his mentor’s hands as he tried to read. “He didn’t want any part of it,” says Christine Russell, regional coordinator for Power Read, a partnership between United Way of Central Iowa and Everybody Wins! Iowa. 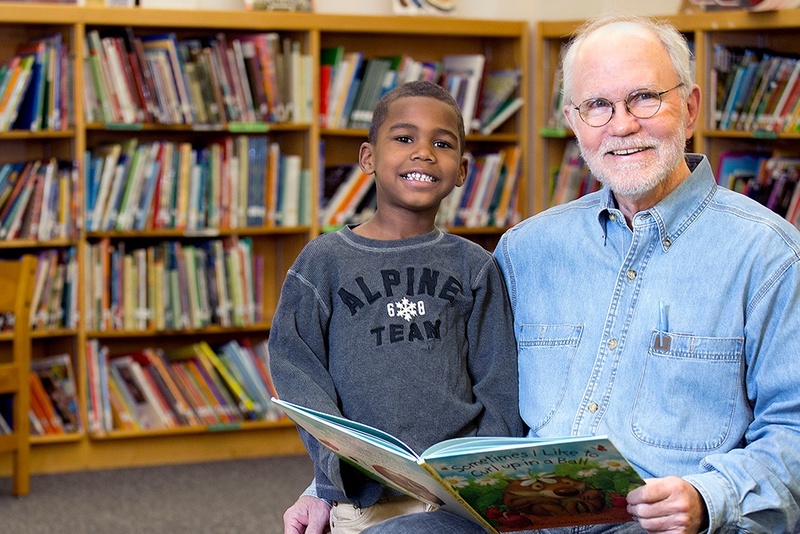 The program pairs volunteer mentors with struggling readers at dozens of area elementary schools, with most reading together over lunch for 40 minutes a week. Power Read is a literacy and mentoring program that pairs volunteers and elementary school students to read together weekly for 30 minutes. 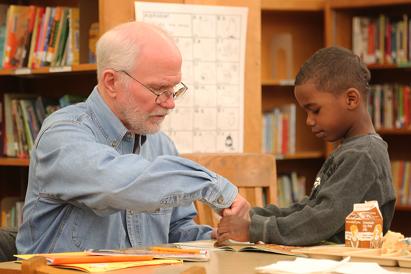 This program helps tudents practice reading and develop literacy skills with a caring adult outside the classroom. Sign up for a special 8-week summer session to combat summer learning loss or join the next school-year session in September. Honor’s reading mentor, Scott, was overwhelmed. Christine suggested they create an alphabet book together, with Scott writing each letter and Honor drawing the pictures. Since then, Honor and Scott have become fast friends, with Honor pointing out details and making up side-plots as they read. Scott describes the kindergartner as curious and energetic. “Even when I don’t know it, he’s learning,” Scott says.